Hello Fiona!! First of all, let me thank you for interviewing me. I am Ajit Panicker and am nearing that age, where I would be able to say, “Life really begins at 40”. I am 37 and up until then just doing research, as said by Carl Jung. 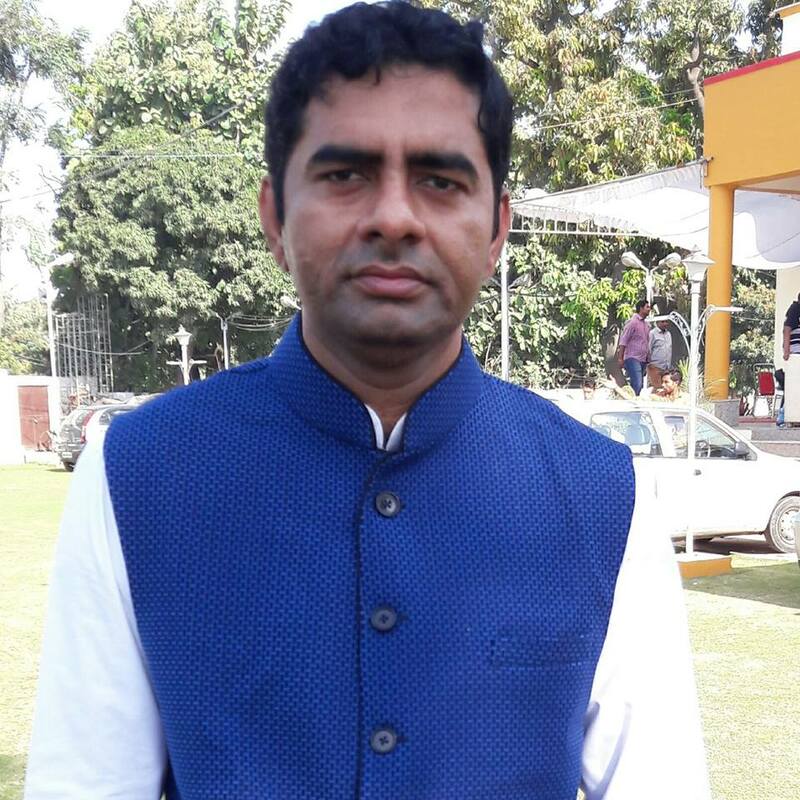 I am an Indian, born in the Northern part of the country in Lucknow, the Capital City of the largest state in India, Uttar Pradesh. A Keralite by birth but born and brought up in the Northern India and well-traveled across the country. Presently, based out in Delhi where I live with my family; my wife and my cute little twins, a son and a daughter. I am a management graduate from one of the top B-Schools in the country with Masters in Business Management and Bachelors in Science. After finishing my higher secondary from Army Public School, Lucknow, I joined the Indian Navy and was there for two years. But then life had different plans for me and I had to leave the forces due to medical reasons. And then I worked for various Industries like tourism, automobile, banking, financial services, real estate and consumer electronics, all in the customer facing roles under different capacities. I am professionally a Corporate Trainer, a Motivational Speaker, a Life Coach, a Blogger and of course an Author. 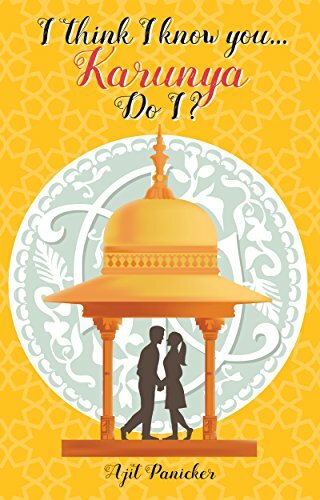 The latest is that my second published book, I think I know you…Karunya, Do I?, a romantic thriller novel is now an International sensation. Being among the top 20 novels at the Kindle Scout contest2017 (also known as the American idol for book lovers) has now also become an Amazon bestselling novel in the Mystery, Thriller & Suspense category. The novel which was so far available only in the kindle edition at the Amazon store would also be available in the paperback edition very soon. Not only this, the novel would also be up for display at the International New Delhi Book Fair happening in January 2018. It’s not been long. I began just about seven years back. After being part of the mass exodus from the company I was working with as a manager during the 2009-10 recession days, I had not much to do. Trying to find a way out of the depressing situation, I went back to my best friend, my books. I began reading again. I got back to the first love of my life, my books. The life and its backbreaking responsibilities somehow had not spared any time in the years after school. I was into reading but not that voraciously till then. But then after that unfortunate episode, I actually re-lived my years again. Reading was a big relief, as I was reading nicest of books and was getting exposed to the realities of life. But reading was still an input, the vent out was still not happening and hence I took to regular writing. I then began writing and very soon came up with my own blog. I regularly wrote on my blog and shared the posts with my circle of friends and in the social media. As these posts started gaining popularity and readership with thousands of views and comments, I kind of became confident of my writing prowess. And hence, continued writing. When my first blog started gaining readership and within months I had thousands of views and comments coming for a single post I was uploading. So the first book was basically written inspired by the blog which had become famous. One of the key reasons I have been successful in my life so far at whatever I have attempted at, has been relationship building. I wanted to write something on relationship. ‘What better than ‘family, if I have to write on relationship’, I thought and began writing. It was basically the conversations between a father and a son based on their everyday encounter with life, which became the primary plot of my book. It was basically an ideal father-son or parents-children relationship which I had always thought about should be there inspired me to write on it. Something, on everyday parenting. 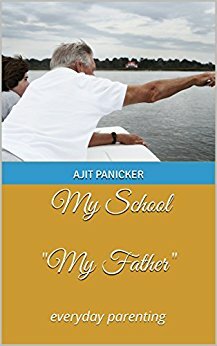 My first book is My School “My Father”which is available on Amazon both in the kindle and paperback editions. So, as far as the first book, My School “My Father”is concerned, it was based on a thought that parents areactually the first school to their children, and they continue to be even after the children have joined their formal school. For the second one, I think I know you…Karunya, Do I?, which is a romantic thriller novel, the title is basically a question which forms the base of the story in form of an unresolved mystery, till the very end. I somehow feel I write something which is narrative and descriptive in style. But the real challenge is how to incorporate these two different styles and write as one. So it’s something like this. My first book, My School “My Father”was based on my experiences and events as a child with my parents and the relationship of other children with their parents while growing up. Luckily, the job role I have been on, all though my career spanning 17 years, traveling has been an inseparable part of the job. Actually it’s been extensive, especially from the past seven years, since I have donned the hat of a corporate trainer. As my job takes me to different places across the country, I get enough food for thought to write on. I write real life descriptions of places and things with the most detailed of facets of that place. And when my reader reads and visits those places, he finds them to be exactly the way it has been described in the novel. He feels like belonging to the novel, which has actually been a fiction. The fiction novel which he is reading becomes part of his life, as he relates to it, so real-life like. I myself did the cover for my first book. But then, the second one was designed by one of my friends, a creative artist & designer, PuneetMakhija. Even the cover pages for my third and the fourth novel are being created by him. Not only the covers, but also the book video trailers and other image related stuff are being made by him. His talent is unmatched. And for the information of all who would go through this interview later, let me tell you, we create original covers. We don’t buy images and use them to create our covers. I understand the fact that a powerful cover page can make or break the reputation, and hence the sales of your book. The second which is a romantic thriller novel is all about true love, the love which was eternal, the one which takes rebirth to meet again. Ashwin Sanghi, an Indian writer, is the new sensation here in India. I have started loving his novels. My favourite fiction writer is of course Dan Brown. I love his style of writing; the most striking feature of his novels is the way he writes the cliff hangers. He has mastered the art of writing fatal cliff-hangers which is the core of any thriller novel. If one wants to learn how cliff-hangers are written, read his books. Enough said! For those who don’t know what it means, Cliff-hangers is a style of writing where readers are driven to a point where he feels he will get a conclusion or an explanation to a suspenseful event or the novel itself. Confidence and faith is planted in the mind of the reader that a mystery is soon going to end. But at the last moment, he’s robbed off that opportunity. Something unexpected happens, a strange character reveals himself or a potential culprit is murdered or a ghastly truth is revealed, all at the end of a chapter leaving the reader craving for more. In this scenario, the reader naturally would want to turn to the next chapter, but he’s made to wait even more as the next chapter speaks of a scene or an event that in no way relates to the previous chapter where you confronted a marvelous truth. You are simply made to wait even more! This gives Dan Brown alternate pattern of revealing secrets and leaving cliffhangers and changing context of the story continuously so that the reader never puts the book down unless he reaches the end! You literally have to fight yourself against the temptation of skipping straight to the last chapter to find out the truth! In fact, I know a friend of mine who literally can’t bear all that suspense and she goes onto the open the last chapter of the book right away. Such is the prowess of Dan Brown’s writing style! If I say, none of them actually knew that I am into writing, probably you won’t believe. Apart from my wife, nobody ever knew that I am engrossed so much into writing, that I could ever be a published author. It was actually a revelation to most of the knowns, including my family, friends and colleagues, when I got published as an author. They were like, ‘It was fine we knew that you have a blog, but we never knew there is an author too inside you. For them, it has been a grand surprise. So actually I didn’t give much room to any other person in my life to support or not to support me to become a published author. Writing is of course a full-fledged job and a job where you can appoint yourself and work at your ease. But that’s only possible, once you have become relatively, a knownauthor, with at least a hundred thousand copies sold. Till such times, it is not advisable to leave a day job and take up writing as a full time career. Most of the famous writers have been through all this. They too worked during the day, and wrote during the night or whenever they got time. So till the time you don’t feel comfortable and confident to meet your monthly expenses through your writing career, take it as a part-time job and keep writing. I don’t think so. I hadalready edited the manuscript at least a dozen times, with all the possible re-do’s, before handing it over to the professional editor I had hired. I learned a lot. I honed my skills on the various stages of converting the manuscript into a full-blown novel. And yes of course, I realized that writing a thriller is probably one of the most intricate genres to write in. To keep the reader engrossed till the very end by keeping him glued to every progressing chapter is a grueling task to do. It takes a lot of creative energy to plot your imagination in ways that the ingenuity of the main plot is felt right from the beginning till the very end. Oh my my. That’s something to wish for. Whenever it happens that my book is made into a film, I would like Ranveer Singh and DeepikaPadukone to be the lead actors, in case it is a Bollywood film. Just in case if it is a Hollywood film, they would be Brad Pitt and Angelia Jolie. The only advice I have for all the budding writers is that don’t let your thoughts float in air. Give them shape, write them down as and when they come. Let the pen flow and the thoughts or imagination continue to get recorded in your style of writing. One important one is that, ‘Don’t wait for that eureka kind of afeeling to happen to you only after which you would write something. And that when you write it would become an instant super hit, like JK Rowling’s Harry Potter Series. For all the readers and the fans I have today, first of all a big thank you for showing your faith in me as a writer. Three books actually, Elon Musk’s biography, Rozabal Line by Ashwin Sanghi and Dan Brown’s Inferno. If you are asking me the first book, then it must be one of those Enid Blyton’s books in school. But then the first novel was,I distinctly remember, Bloodline by Sidney Sheldon, way back in 1995 when I was in the eighth standard. A lot of things make me laugh. But a special mention to any witty one liner or a good stand-up comicshow. But one act which makes me laugh endlessly is when I play with my toddlers, the twins I have. But if you want to make me cry, you’ll have to bleed through your bottoms to do so. I am such a super charged positive man, that I look for the positives out of the negatives in life. I would love to meet Bill Gates and Warren Buffet if possible, for the way they have led their life. Need to learn a lot from them. A recent edition to the list is Elon Musk, the crazy believer of his dreams. Apart from reading extensively, jogging and swimming are two of my favourite leisure time activities. I do them to charge myself. TV Shows, forget it. I have completely stopped watching TV. Somehow I feel, the idiot box is actually a waste of time and especially if I have to follow something which is adding no value. At least for the entertainment sake, the reason for which we usually watch TV should be there. These days even that is missing. I instead prefer watching movies or videos, my types on Amazon Prime time, Netflix or YouTube. Favourite food is the Indian food, especially the sea food and the Mughlai Cuisine. Colors, I love all of them because color fills my life with positivity and energy. But yes the favourite is blue. Music depends on the mood of the moment. At times, it is the slow soothing ones; at time it is the party songs, on others it is the devotional ones. So there is no specific type I like the most. Music for me is a healer; anything which heals me, entertains me and keep me happy. Ha..ha..ha. So I have a lot in my platter. As I said earlier, I am a corporate soft skills trainer, a motivational speaker and a life coach; I would continue to do what I am doing. Anyways I never wish to be, only a writer. Writing would always remain one of my many skills or talents which I would continue to hone. Congratulations on your success in the Kindle Scout contest and best of luck to you.